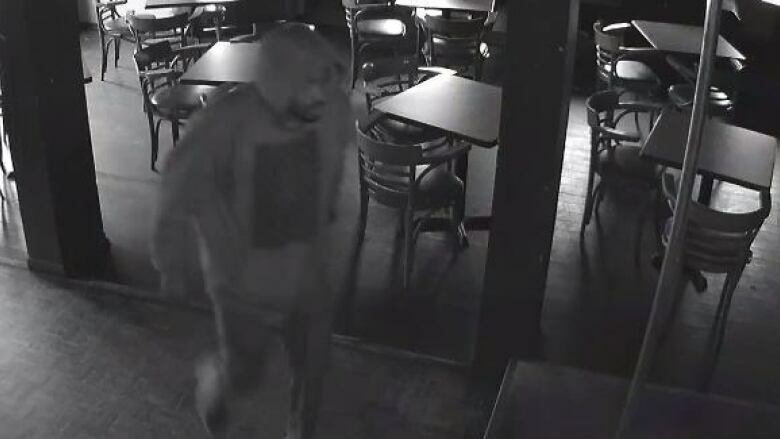 Hamilton police are asking for the public's help in tracking down a break and enter suspect who broke into downtown karaoke bar Happy Hourz back in September. Investigators announced Wednesday that the bar, which is just off of James Street North on MacNab, was broken into just before 8 a.m. on Sept. 9. Police say a man got inside the building, went to the bar and "gathered several items." "A passerby spotted the intruder and yelled out to him, causing the suspect to flee the scene," a police news release reads. The man is described as non-white, around six feet tall, and wearing a dark hoodie and dark pants. Anyone with information is asked to call police at 905-546-2991.